If you have a business and you are trying to attract clients, sales, or you are building your brand online you must consider Content Marketing. What is Content Marketing? Content Marketing is basically posting content on your Social Media Channels (Facebook, Instagram, Twitter, etc..), or sharing articles like this one, or stories on your blog. It can also involve webinars, podcasts, and giveaways. The great thing about content marketing is it rarely costs you any money upfront and you can reach a wide audience through your network by sharing your posts and getting others to share as well. Your blog works pretty similar and allows the same ability. The nice thing about blogging is it can create some pretty good SEO (Search Engine Optimization). You can blog by writing or even set up a YouTube Channel and create Videos. I personally, have always had my best success with video, but I enjoy writing as a hobby, so I tend to just like to write more and keep my creative juices flowing. A content marketing strategy involves putting out relevant copy or subject matter to what it is you are marketing. If you’re running an online jewelry store than most all your posts or your content is going to be tailored towards your store. This will not only help engagement, but also help take people through the sales process. As you are consistent in your posting on Social Media Sites (2 to 3 times a week) and blogging a few times per month you will begin to start attracting more and more people to your business. This may seem like a long approach, but in time by consistently planting seeds the harvest will happen. By creating quality content that is directed towards your targeted audience you will be attracting the right people who have an interest in what is you are selling. People don’t necessarily buy for the best price, they buy from people they like and trust. As the saying goes, “Facts tell, stories sell”. By doing content marketing you are always telling a story and whether you believe it or not, people are watching you. So become good at telling a story and your business will grow over time. As mentioned above you can share posts, you can share pictures, you can share blogs or articles, you can share videos, you can also share E-Books, giveaways, webinars, podcasts, etc. The above is all part of content marketing. One strategy that can work well is finding influencers in your field to share your posts, if you know them you may even seek to tag them to get their attention or ask permission if it would be ok to tag them in a post. You can also share your posts in Facebook Groups that are specific to your industry. We belong to several groups in different industries and are marketing constantly for our clients. The goal with retargeting is to get your content shared beyond your own network. It increases traffic. The more content that you produce the more likely it will become visible online. This is why we always tell our clients to be posting at least 2 or 3 times per week on Social Media Sites and blogging at least a few times a month, so that you are always out there. It can help boost sales. If you are always out there, you’ll have a better chance that people are going to come across your social media channels and website which will naturally lead to more sales. And the best part is for most content marketing it doesn’t cost anything to promote. It builds strong customer relations. We always like to use quotes, pictures, and sometimes even jokes to make our audience laugh. Have fun with it. If you’re having fun, so will others. Don’t go crazy with just promoting items from your business or store, but use the 80/20 rule where 80% of what you put out there is value based and the other 20% is actual sales oriented material. You don’t want to not ever put out ads or ask for sales through promotions, coupons, etc…But make everything you do enjoyable for your prospects or customers so they have to eventually do business with you or better yet — they want to. People buy from people they like and trust — it’t that simple. So become likeable and share your knowledge and expertise while having fun. Stand out in the search engines — when you write or create content you will have a much better chance of having people find you in the search engines and this will naturally lead to more business. Build Your Brand — by being out there you will become an expert in your niche and will be sought out by others. Build Value — Educate and inform your audience vs. always be selling. Become someone who is valuable in your niche and always focus on giving more value to your customers. The customer experience will never be forgotten good or bad. Earn Trust — It’s always easier to trust a brand that is out there creating content frequently vs. one that is rarely out there or never out there at all. If you feel like your business needs help with marketing or you need money making tips — always feel free to reach out to me or another online expert for help on making your business stand out in a noisy overpopulated online world. 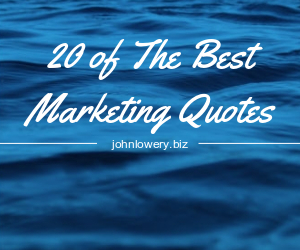 This article gives you Twenty of the most inspirational marketing quotes from top digital marketing thought-leaders. May their words of wisdom inspire you to more profits! If you feel like your business needs help with marketing — always feel free to reach out to me or another online expert for help on making your business stand out in a noisy overpopulated online world. Instagram is now one of the most popular sites out there. If you are using it or thinking about using it one of the things that is great about it is that it allows you to share videos. Unfortunately, you can’t just add a link from your latest youtube video or a youtube video that you want to share. In my latest video, I’ll show you how to do that by using a website called Tube2Gram. To learn more watch my latest video below. Let’s be frank! Online marketing is not easy. You’re spending money, time, and energy hoping that something sticks and that you hopefully become the next big thing or you get some ROI on your investment. What works for my business isn’t going to necessarily work for another. You have to be creative, diligent, and always be watching to see what is working and what isn’t. Not only is there a huge learning curve for beginners, but you have plenty of marketers coming after your wallet claiming to be experts in online marketing. If you decide to go at it alone, it will take you weeks, months, or even years to figure it out. If you hire someone you pray you made the right decision and don’t flush money down the toilet. Personally, I have been marketing online since 2008 and have worked with many individuals and businesses on their online marketing. I wanted to take some time to share with you 5 of my favorite Cost Effective things you can do to market your business online that won’t waste your time or your hard-earned dollars if done correctly. #1. Blogging — Even though blogging can takes months or even years to build up any sort of decent following, writing about things that are relevant to your audience can always increase traffic and in return get you more followers and customers for your business. If you choose to blog there are 2 things you will want to always remember — consistency leads to results and you will need to have patience — lots and lots of it. I personally, write 2 blogs for my business weekly (try to anyway). One is tailored for the solo entrepreneur and home based business professional and the other is tailored towards the small & mid-sized business owner. At times if it makes sense — I may share an article like this that could be relevant to both blogs. I have to admit it is harder than it sounds as you always have to scramble for good content and you need to be somewhat of a decent writer. If writing isn’t your thing you can always hire a freelancer to do it for you, or use an employee. #2. Video Marketing— If you haven’t already consider setting up a YouTube Channel. This will be one of the best ways to reach out to people in your network and beyond. I really think that SEO (Search Engine Optimization) from Video is 10 times what it is for a website at least in speed. I can create a video and get it optimized in days vs. weeks, months, or years with a website. It’s hands down one of the cheapest and most effective ways to market your business. I have seen my clients including myself add hundreds and even thousands of dollars to their bottom line by simply creating a few videos and getting them to come up on the top of YouTube. I will add that this is a very competitive space, but if you learn how to optimize your videos or have a professional optimize them for you-you will be very pleased with the results. I have had a few videos come up #1 out of hundreds for search terms and this can be very beneficial for your business if done correctly. #3. Email Marketing — Email marketing may not be what it once was years ago with all of the spam filters these days, but I still think that it is an effective way for you to stay in front of your customers and prospects on a regular basis. Like with blogging you will want to be consistent at least once a month, weekly, or bi-weekly. You will definitely want to sign up for one of the many email services to broadcast your emails (MailChimp, constant contact, Aweber, Icontact, etc.) My personal favorite is Icontact.com, but any one should work and they all cost about the same. Don’t be over the top with your marketing as many people will be turned off if you constantly send out emails. 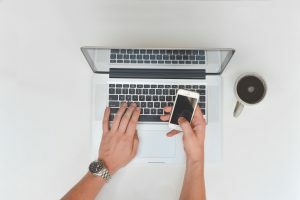 The key to email marketing is good copywriting skills (sales copy) and knowing the best times to send out your emails. If you’re promoting your business, probably not best to send out your emails on a Sunday. It’s also important to always be growing your email list. You want your subscriber base to grow so you have more people (hopefully targeted) to reach out to. One of the ways that we grow our email list is by giving away a free e-book on both of our websites. #4. Social Media Marketing — If you’re running a business and you are not on at least Facebook (over 3 billion active users are now on Facebook worldwide), you are seriously jeopardizing the future of your business in my opinion. Those businesses that are active in social media will thrive in the future. I feel like a few years ago no one knew where it was really going, but today it shapes our lives from the news, to whats happening now, to sharing photographs of our latest vacation. It’s a phenomenon that is not going away anytime soon. Even if you don’t like it (and many people don’t) get involved if nothing less for your business. Your life depends on oxygen and water to survive. Your business nowadays depends on Social Media. Find one or two social media sites that you feel will best represent your business and be consistent and simply put yourself and your business out there. NO one ever made it big by playing it safe. This is your opportunity to share your business with the entire world and really connect with others in a much more personal way. Think of it like a giant party and you have an opportunity to not only promote your business but to make new friends. #5 Content Marketing — similar to this site or even linkedin.com which now allows you the ability to publish articles. The great thing about using sites like medium or Linkedin to publish articles is it allows you the ability to share content beyond your social media networks, email, or blogs. A lot of times I will write my blog first on medium than copy and paste it to my blog. Make sure if you do copy & paste that you reference the article on your blog. I have found in the past that some of my best-written articles that got the most attention were not from my blogs, but from my articles that I wrote on these other sites away from my blog. Well, there are 5 cost-effective ways to market online. I hope this helps you with your online marketing whether you are a newbie or a seasoned pro. Marketing is pretty much everything that happens prior to an exchange of money. If done well, it can make you a fortune, if done poorly it can waste a lot of time & money and in some cases even cost you your business. If you feel like you would rather stay away from marketing and focus more on the things you are good at — always feel free to reach out to myself or another online expert for help on making your business stand out in a noisy overpopulated online world. 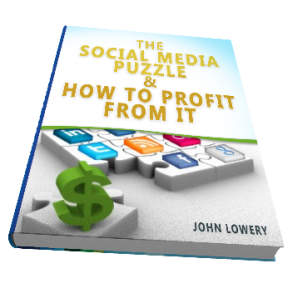 The Social Media Puzzle & How To Profit From it available on Amazon. Did This Help You? If so, I would greatly appreciate it if you commented below and shared on Facebook or any of the other Social Media Sites. One of my first mentors in the network marketing profession who had made millions would require every new person he sponsored to open up a tax file and begin saving all of their receipts. Even if you don’t sponsor anyone, but actually put in the time to build your business and show the government that you are making an attempt to make money you will still benefit greatly from having a home-based business. My fiance who has been with the same company for 16 years was advised by her own accountant to start a home-based business to help with her tax burden. So whether it be network marketing or landscaping, everyone should have a part-time home based business in my opinion. It just makes perfect sense and will save you money on the money you pay in taxes, plus put a few extra bucks into your pocket each and every month with minimal effort. If you don’t have a full-time or part-time job like 80% of the people entering our profession than you are either self-employed, retired, or unemployed. Either way, you will still want to keep receipts for everything pertaining to your business. This is by far the quickest way to put money into your pocket in network marketing. All your expenses will go against any of the income you generate with your network marketing business and other income streams. To learn more about the tax benefits of network marketing click here to watch an overview by Sandy Botkin CPA a seasoned tax accountant, former legal specialist with The Internal Revenue Service, and author of The Best Selling Book, “Lower Your Taxes BIG TIME”. In closing, it is hard to say anything positive about paying taxes. It always hurts but we all have to do it. The good news is that by joining any network marketing company there are tax deductions that you would not have been able to deduct if you did not have a home-based business. Always consult with a tax professional. We cannot provide any warranty about the information above. 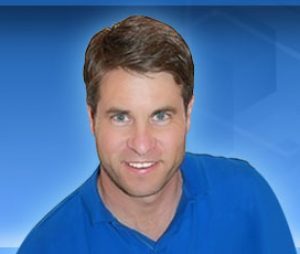 What is the best MLM Marketing System? Since I entered The MLM/Network Marketing world online back in 2008, I have always been in search of good marketing systems. I’ve used company provided systems (that usually cost a fee). I’ve used free marketing systems by 3rd parties, and costly systems by 3rd parties. What I have found is that most have a few negatives – the free ones don’t have a good follow up program that allows you to make phone calls and schedule follow-ups with your prospects. The company provided systems are tailored only towards your company and allow for very little customization – no tweaking emails, videos, etc. Most company provided systems don’t allow you to make money promoting them to your downline. The company provided ones will be good for your friends or family members, but won’t allow you to generate leads on your own. Here is what you want to look for when using and an outside marketing system. Customer relation manager (must be able to follow up, make notes, and schedule follow up calls. A way to earn commission (affiliate commissions). 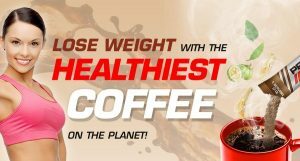 Get your system for free or get paid to share with others. Many may not join your company as they may already be with a company, but a 3rd party tool can always make a difference. Which system have I found with all of the following above? The company is called Prosperity Central and they have been around for about the last 6 or 7 years. Everything is already set up for the novice and customizable for the pro. If you have lots of leads to follow up with they have a software called Phoneburner that is built into their program which allows you to make calls up to 4 times faster than dialing manually. 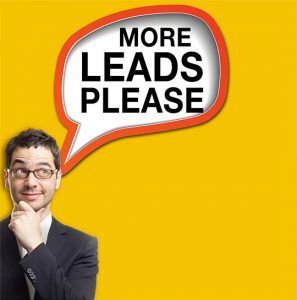 I find it very helpful when I do big campaigns that generate a 100 or more leads a day and I need to follow up by phone. In terms of price? You can get started for as little as a $1 per day with all the bells and whistles ($25 per month) and if you refer 3 its free. I’ve had my system for over 6 years and it’s never costed me a penny as my affiliates pay my monthly membership fee. If you’d like to test drive it for free you can do that by clicking here. I’ve also put together a short video below that shows you how it works. Unfortunately, if you’ve been involved in network marketing for any length of time you know it can take a little more convincing than that. I’ve personally purchased leads, bought google ads, solo ads, called friends and family, and still regularly buy Facebook Ads and am always on the lookout for new tools that can help me and my team members attract more people to my business. With that being said, I recently found something that will help you build a list of people you can email to in just a few days for next to nothing. In fact, you can sign up for free to test drive it and even use the service without ever spending a dime if you choose. If you are serious about building a network marketing business and want to get more leads and build a large list fast, I recommend you at least take a peak at Global Moneyline. I took it for a test drive 3 days ago after learning that some of my team members were getting sign-ups into our network marketing business from it. In just 36 hours I’ve already got over 2000 people in my network that I can email or advertise my opportunity to. It could take weeks or even months to build a list of 2000 or more. I will add that nothing beats having your own email list, but while you are building your list – this could be a great alternative to building your list. To learn more about Moneyline and how it can help you get more leads and distributors for your network marketing business click here. I think you’ll be happy with at least taking a look at it. I’ve been involved in Social Media and Online Marketing in some way shape or form since 2008 and have trained people and consulted with business owners on how to effectively market their message in a noisy online world. With so many business owners using social media nowadays to market but not getting the results that they want, I felt it was time to shed some light on the subject. I recently met with the owner of a Digital Marketing Agency and he shared with me that the highest spend on all advertising in 2017 for Small Business Owners was going to be on Social Media Advertising. I was down at The Bagel Shop the other day and on the cash register, there was a sign to follow us on Instagram and like us on Facebook. If a bagel shop is using social media to help their business, then chances are that you should be too. The social media landscape is opening up like we have never seen before and it is becoming more important than ever for business owners, celebrities, and just about everyone with a message to ensure they are effectively using Social Media. For the first time in 8 years of being on Social Media, I felt that it was time to share my experiences and provide a how-to guide that can help others with their business. Businesses and professionals that embrace social media and use it well, will not only benefit from it on a brand awareness level but will profit from it. The most important thing you can learn from The Social Media Puzzle & How To Profit From It is how to be more successful in your social media marketing, how to be more consistent with it, and how over time you will profit from it. It has been said that facts tell and stories sell – and social media gives everyone the opportunity to tell a new story every single day. To learn more about The Social Media Puzzle & How To Profit From It download a preview or order direct from Amazon or Barnes & Noble.